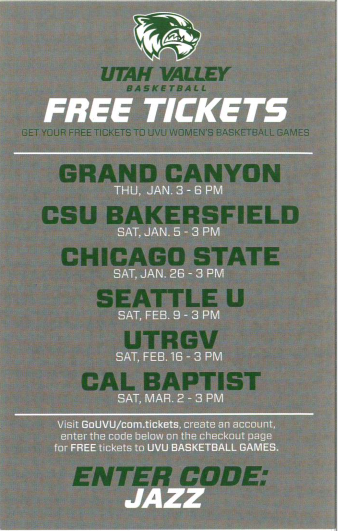 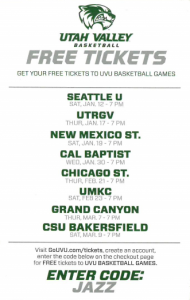 In conjunction with UVU Sports, the Cedar Hills Community Services Department is offering free tickets to both men’s and women’s UVU basketball games. 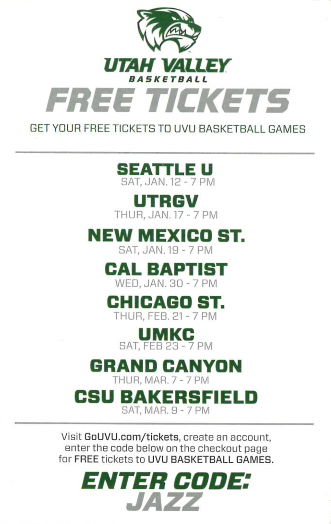 To get your tickets, go to GoUVU.com/tickets, create an account, and enter the promo code “JAZZ“. 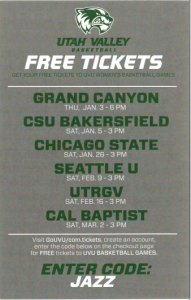 Click on the flyers for details.